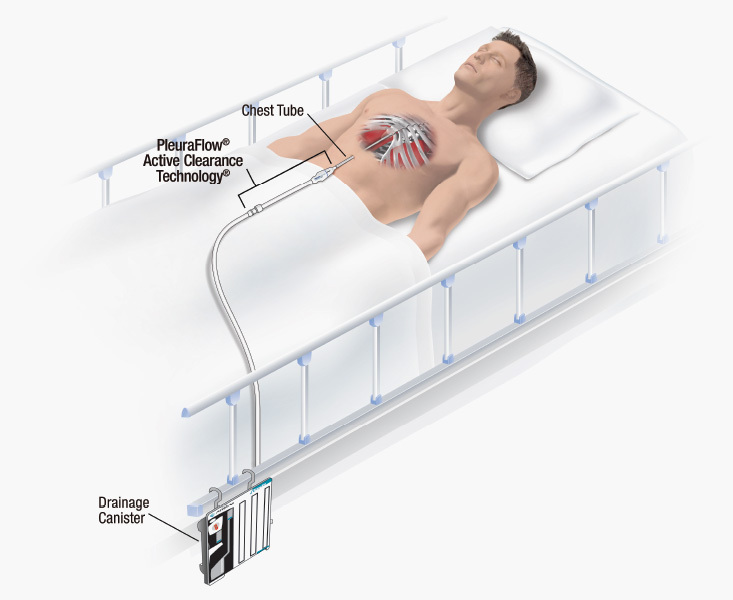 PleuraFlow® Active Clearance Technology® (ACT) is a unique system that proactively clears chest tubes and prevents the retention of blood and fluids in the chest cavity. 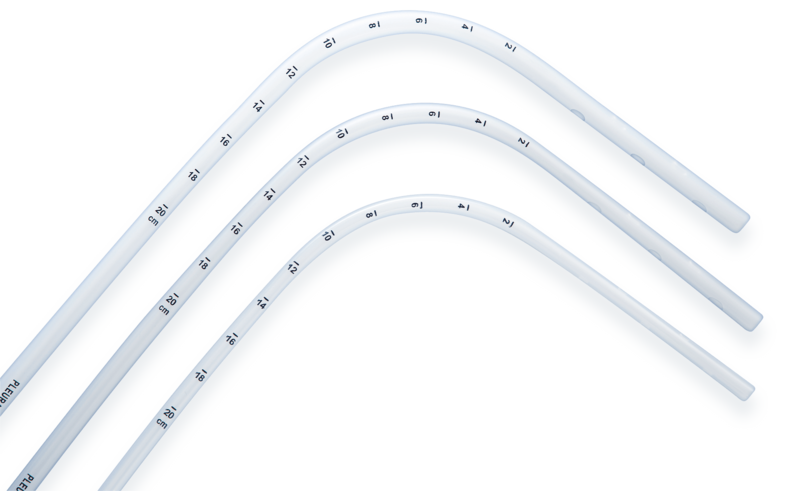 PleuraFlow ACT is used to maintain chest tube patency and clear the pathway to a successful recovery before and after discharge. Enhanced drainage capacity with a fixed 90-degree angle, ideal for LVAD and lung transplant patients. Extended drainage length and enhanced drainage capacity with the confidence of chest tube patency. 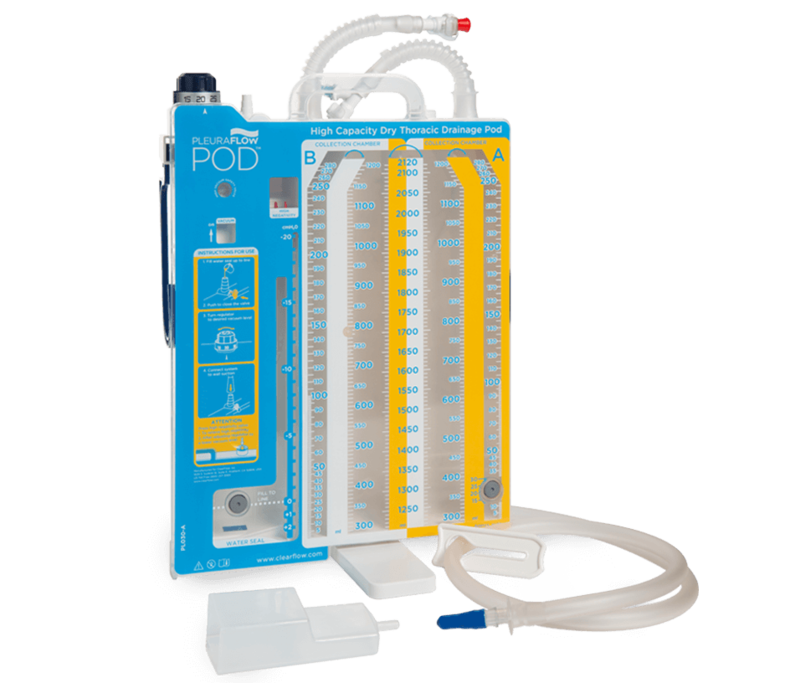 High capacity dry thoracic drainage pod featuring a built-in dual collection chamber design. 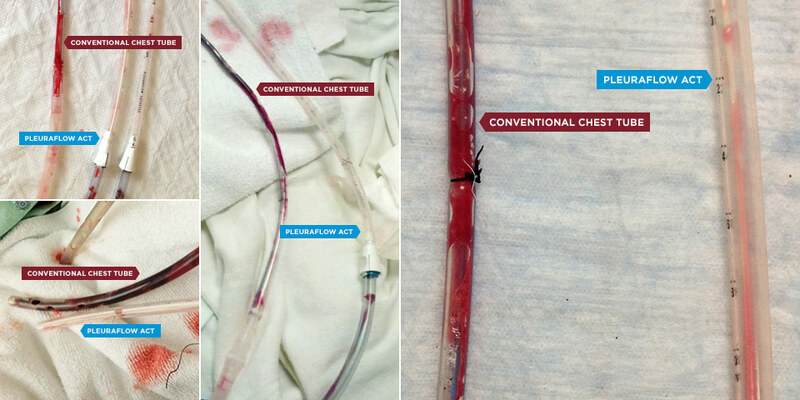 Side-by-side comparison shows clogged conventional chest tubes and clear PleuraFlow ACT drainage catheters removed from the same patients 24-28 hours post-surgery. 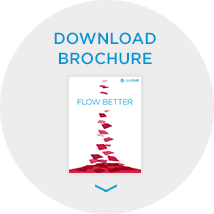 PleuraFlow ACT is easily adopted into an ICU “Best Practices” and can be implemented into your hospital’s Quality Management System as a standard of care shown to substantially reduce the risks and costs associated with Retained Blood Syndrome (RBS). Don’t let RBS block your patient’s recovery. Make PleuraFlow ACT an integral part of your practice.